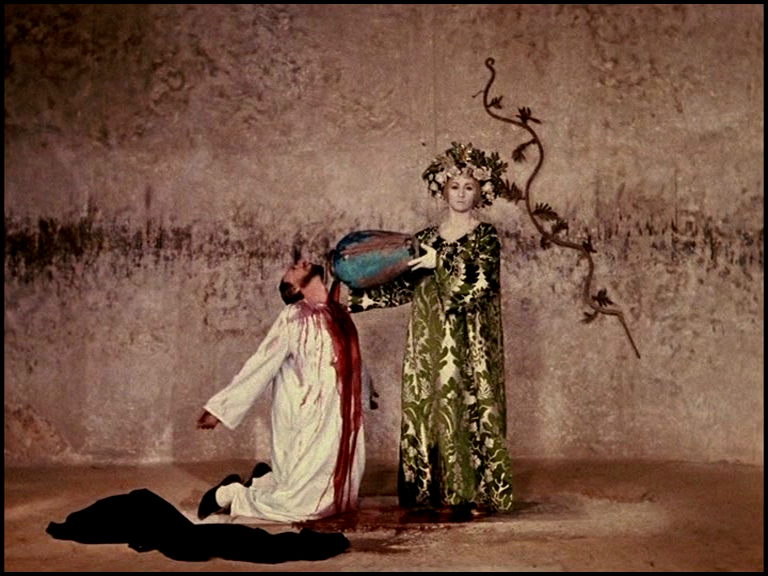 Some time ago I watched the film Sayat-Nova / The Colour of Pomegranates. 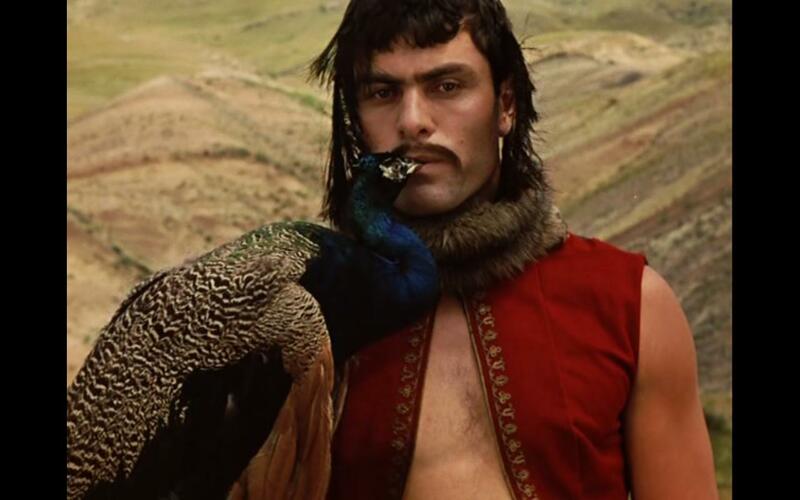 It is a1968 Soviet film written and directed by Sergei Parajanov that tells the story bout Sayat Nova, the Armenian 18th century poet and musician. 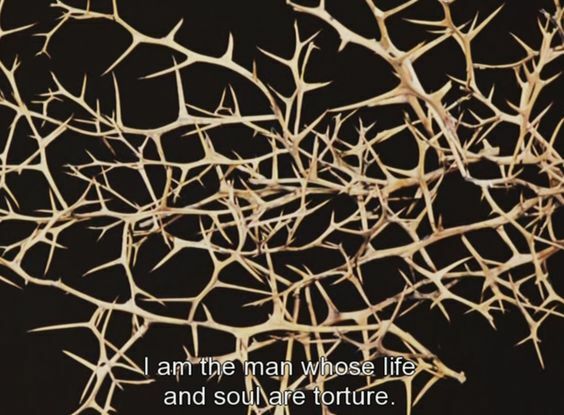 It describes his life symbolically and poetically via his works, often with an allegoric meaning, rather than presenting the events told in a form that we are used to. 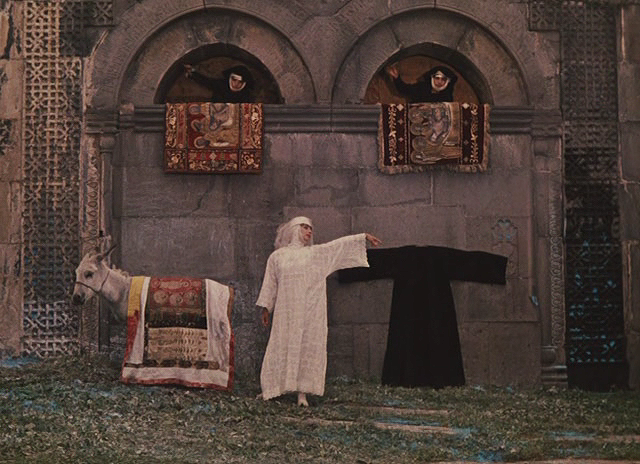 This did not result in a very amicable reception from Soviet officials the time; the name of the film was changed from Sayat-Nova to The Colour of Pomegranates the most religious iconography were edited away, and the international release was not until years later. 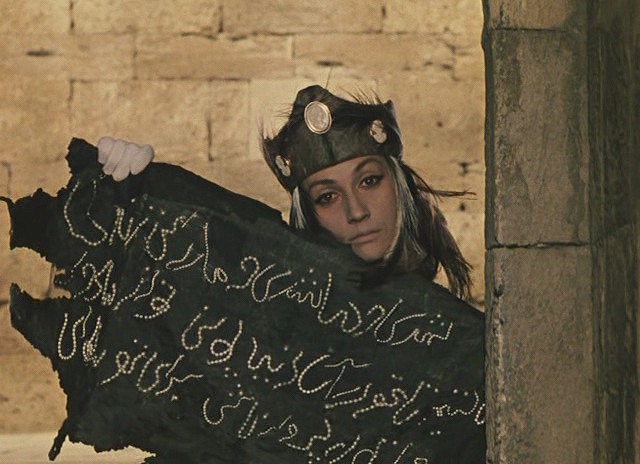 (Plus, Parajanov was persona non grata because of his films for a long time and was also imprisoned in the 70's.) But the internet can tell you all that in better detail. 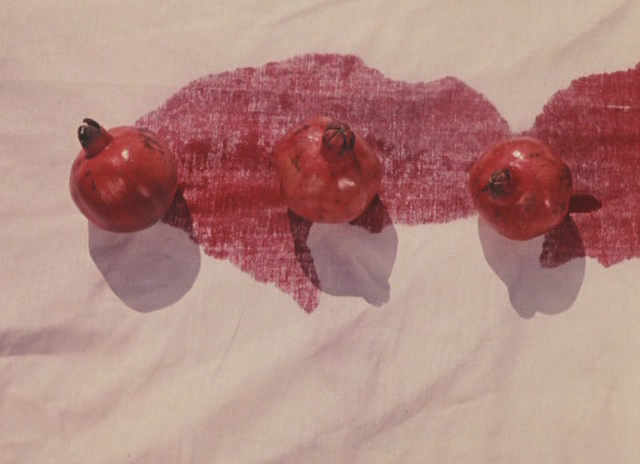 The Colour of Pomegranates is different from and not directly comparable to any other film I've seen - I got into watching if after reading a film review int he paper that said it was un-rateable, as it is a category of it's own. 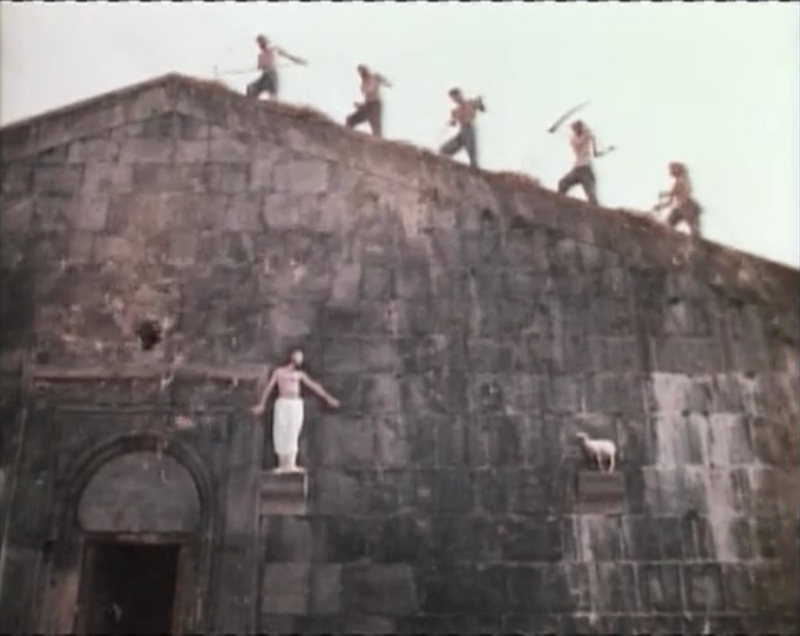 It's a captivating and also, in it's on way, a very strange film. 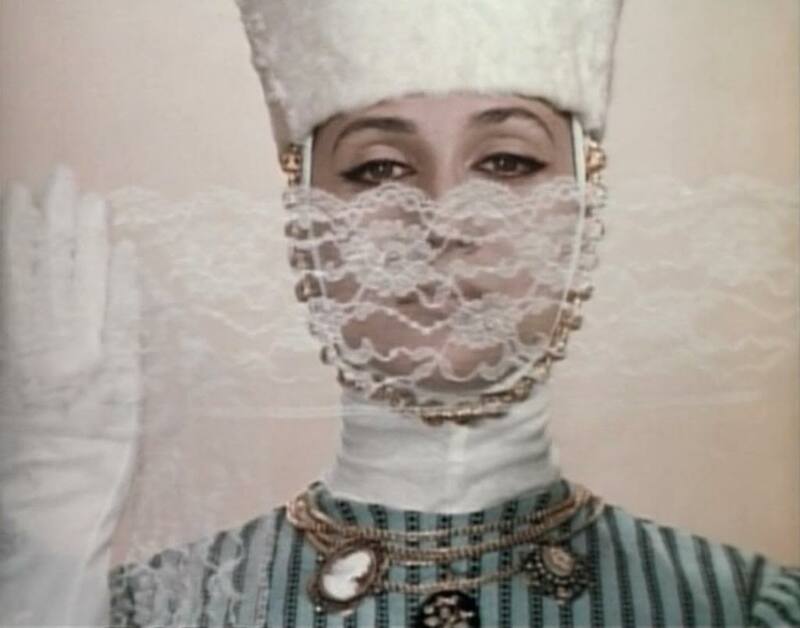 Actress Sofiko Chiaureli plays several roles troughout the film, both male and female. 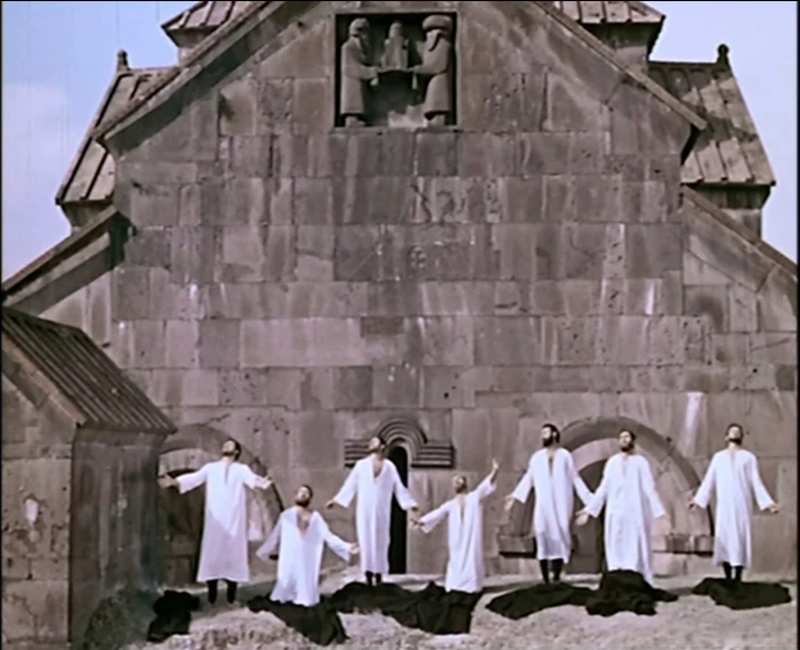 The scenes are like paintings; tableaus with Armenian imagery and folkloristic elements. 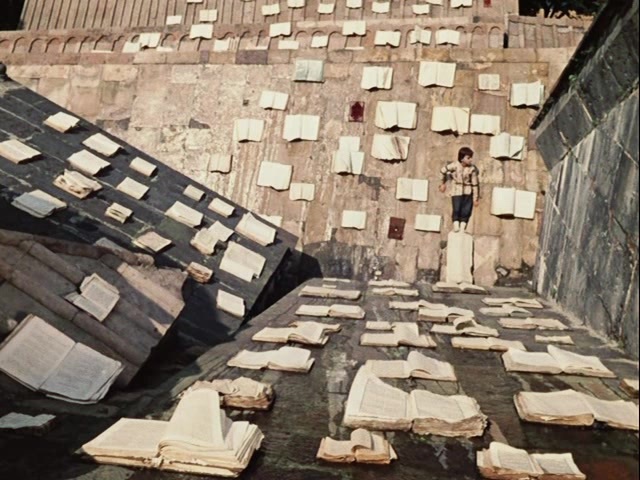 For me it's like some snippets from a memory, the way the childhood is remembered with some details strong and others more fairy tale like, and sometimes like a mind flow; of poems or how they may have been inspired. Not always easy to get but then again one does not have to. The movie just quit on Yle Arena (great timing I know you're welcome) but is available here and there online and for purchase on Amazon. 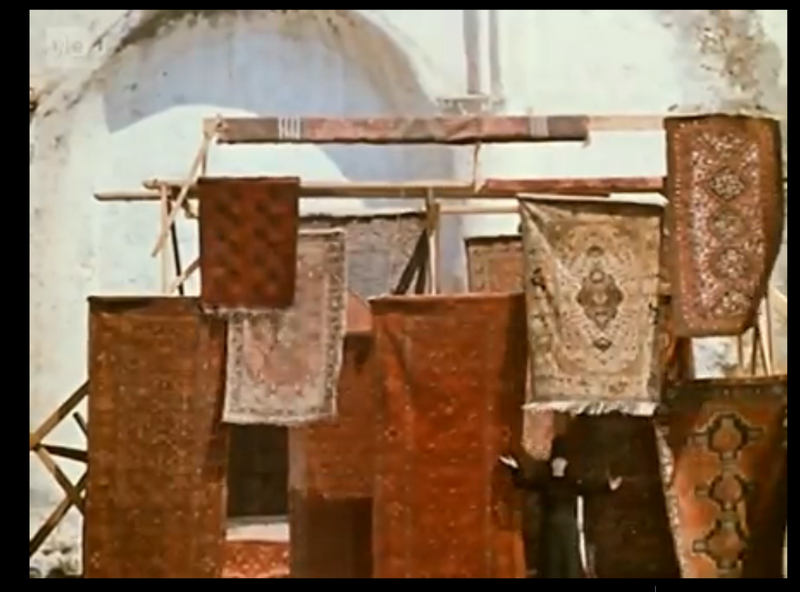 The 2014 restored version is the closest to the original cut. 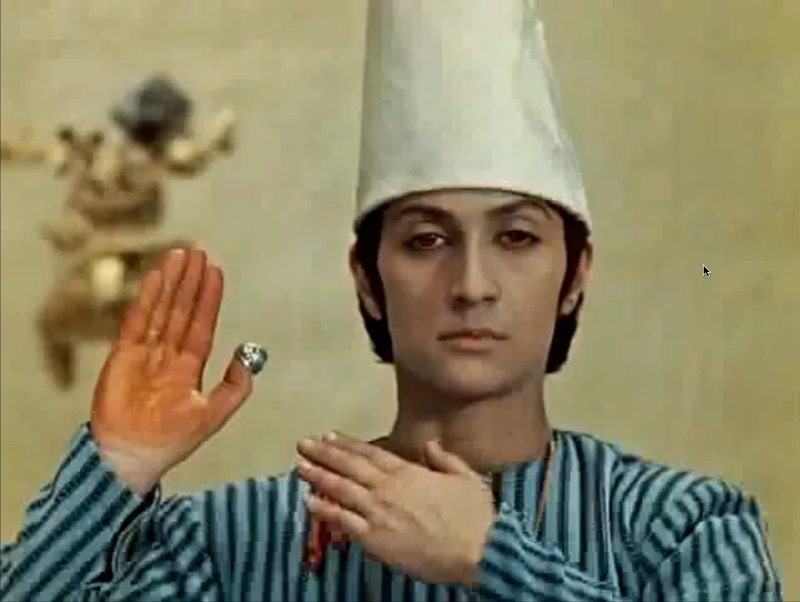 Film caps via image searches, mainly from here and here.